These two movies are obviously paired; both stop motion animation movies with clear light horror movie elements. I can’t see both of them going to the final showdown, but I think one will; the Oscars like stop motion animation, and both ParaNorman’s studio and Frankenweenie’s director have gone to the show before. If the Oscar ceremony were held tomorrow, Brave would be the expected win, ParaNorman would win in an “upset”, Pirates! A Band of Misfits would be the best nominee but for stupid reasons wouldn’t win, and Madagascar 3: Europe’s Most Wanted wouldn’t even be nominated despite being the best movie for other stupid reasons. However, that just goes to show how weak the field is right now, not how good ParaNorman (or Brave, Pirates! or even Madagascar 3) is. In fact, the reason I switched ParaNorman out is because I saw it between last month's column and now. It has a really good 87% on RottenTomatoes right now, so the critics like it, but it’s a pretty generous 87%. It’ll be compared to Coraline, but at the end of the day, it has neither the heart, nor the fangs, of that movie. 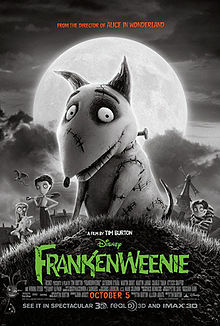 But I have problems with Frankenweenie, too. That’s why I replaced it with ParaNorman for a month. Mostly, the problem is director Tim Burton; people seemed ready to dump on the guy even before Dark Shadows came out and was actually pretty bad. And, yes, that has to be factored in. That being said, he started out as a Disney animator, so that may get him bonus points in this category. Furthermore, the movie isn’t even out yet; for all we know, it could be so awesome it is a genuine contender to win, rather than just be nominated. These are the two movies that will most likely be fighting it out for the actual win, unless Frankenweenie or even Wreck-It-Ralph blow up in a good way. 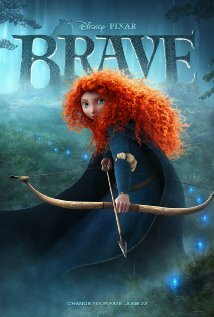 Brave was a mess both onscreen and off (Brenda Chapman, who left Pixar, did get a co-director credit, but will probably not be a nominee, if the similar circumstances in Ratatouille are any precedent); but it was one of the best looking Pixar movies out there, and definitely was not a failure on the Cars 2 level. So, Brave will probably pick up the nomination with no sweat. Furthermore, if Rise of the Guardians does bomb, and the two dark horses I mentioned above are just okay, then basically it will be a wash year for the category — if the mediocre movie from the pedigreed studio gets the win, well, better luck next year. But there’s no reason to count out Rise of the Guardians just yet. DreamWorks Animation has been pretty impressive for the last couple of years, and even managed to turn the goofy Madagascar movies into an almost respectable trilogy of movies this year, so if they reach even the levels of Kung Fu Panda 2 and Puss in Boots, they win by default, because they are “due”. If they reach the levels of How to Train Your Dragon … Best Picture nominations are still not out of the question, and probably better than Rango’s chances last year. While we’re on the subject, DreamWorks co-founder Jeffry Katzenberg was awarded the Jean Hersholt Humanitarian Award by the Academy this year. That was for his charitable work, but it can’t hurt his studio’s movies’ chances. Foreign animation distributor GKIDS has four movies it will qualify for the Oscars this year, and seeing as how their current record is almost a hundred percent Oscar nominations, you have got to expect something. Last year they had two nominees; this year I expect about the same. 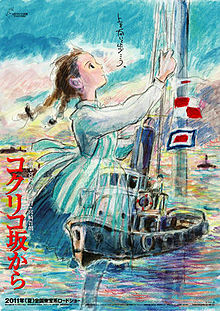 One is the Studio Ghibli movie From Up on Poppy Hill, which is the only studio to win the category with a foreign language movie. Combine the pedigree of the studio with that of the distributor, and this is a virtual lock. Of the other three, basically its up in the air right now, but I will go with The Rabbi’s Cat because this is a furry site and it’s a movie about an anthropomorphic cat. There are two other “little” pictures out there; Disney is qualifying Arjun: The Warrior Prince and Brainstorm Media is bringing A Liar’s Autobiography – The Untrue Story of Monty Python’s Graham Chapman to the table. Both could be players too, but there will be no way to tell until the Annies announce their nominees. These two are the movies on the ropes, the ones that are hoping for Rise of the Guardians to fall flat on its face, unless Wreck-It-Ralph is much better than what I am seeing in the trailers, which is always a possibility. They are not going to win it, but they could still be nominees. Pirates! is a decent to good movie that came out too early and gained too little box office or early buzz (like, say, Rango) to be remembered until next year. Wreck-It-Ralph is a big movie from a big studio that looks like it will be okay to decent, but not spectacular. We’ll see how that goes. In fact, we’ll see how it all goes.